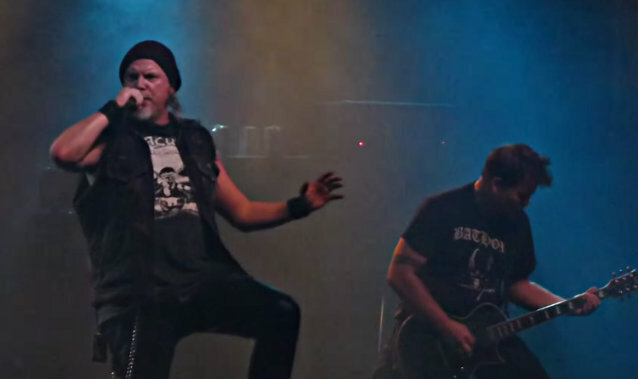 Fan-filmed video footage of reactivated German death metallers MORGOTH performing a new song, "God Is Evil" on October 3 at LKA-Longhorn in Stuttgart, Germany can be seen below. 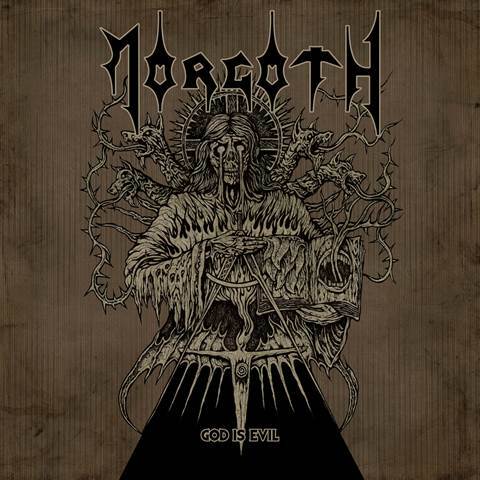 MORGOTH in August released a seven-inch EP/digital single titled "God Is Evil" featuring two brand new tracks. Comments the band: "Finally, after 17 years, we have some new tunes to share with you. "We are excited about the nearing release of the 'God Is Evil' single, which contains the title track as well as the song 'Die As Deceiver'. 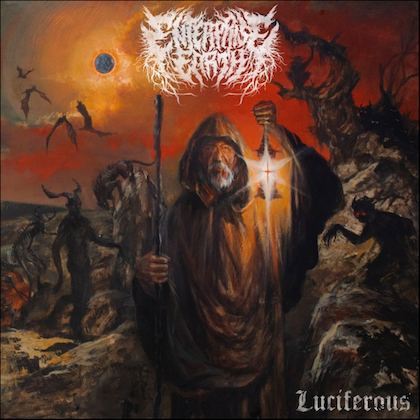 These two brand-new songs are meant to be a first teaser for our upcoming album, 'Ungod', which we will be recording later this year for a release early 2015 via Century Media Records." "God Is Evil" is available on black vinyl and limited golden vinyl (300 copies). 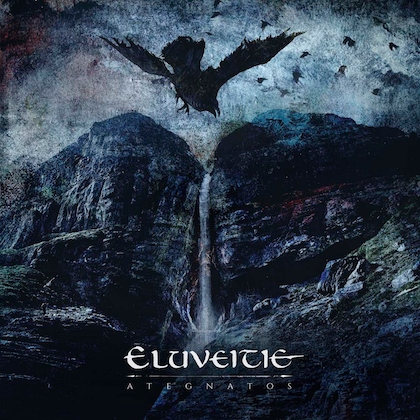 The powerful artwork was created by Costin Chioreanu, who has previously worked with ARCH ENEMY, GRAVE, DARKTHRONE and many others. MORGOTH released its first-ever live album and DVD, "Cursed To Live", on June 25, 2012 via Century Media Records. The audio tracks were mixed at Unisound Studio in Sweden with Dan Swanö (OPETH, KATATONIA, DISSECTION). "Cursed To Live" is the documentation of MORGOTH's 20th-anniversary celebration of the band's all-time classic album "Cursed" (released by Century Media Records in 1991). It was released on CD, a limited DVD+2CD as well as a limited deluxe 2LP. The live show featured on the album was recorded at the band's triumphant show headlining Way Of Darkness festival 2011, at which MORGOTH performed an extensive set of 15 songs, with the main focus on the songs off "Cursed". 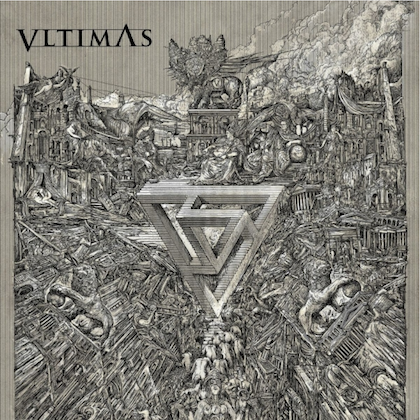 The cover artwork — with an intentional nod to the original "Cursed" art — was designed by the renowned artist Dirk Rudolph (RAMMSTEIN, IN EXTREMO, APOCALYPTICA), who had also created the original artwork for "Cursed".